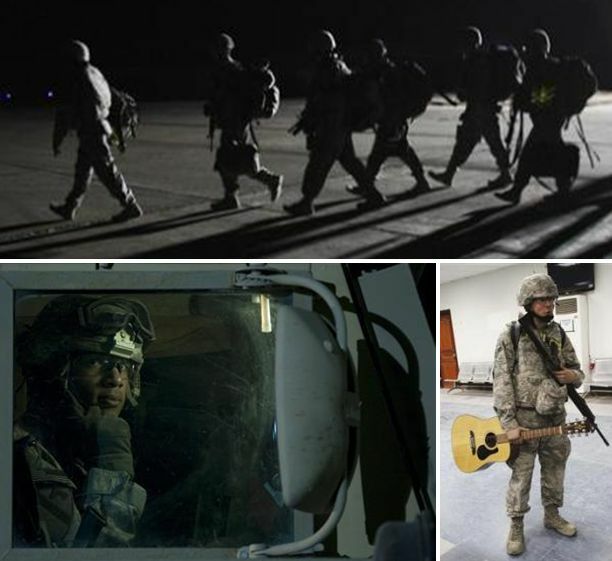 Last U.S. troops leave Iraq - ending war? The last convoy of U.S. soldiers pulled out of Iraq on Sunday, ending nearly nine years of war that cost almost 4,500 American and tens of thousands of Iraqi lives and left a country still grappling with political uncertainty. The war launched in March 2003 with missiles striking Baghdad to oust dictator Saddam Hussein closes with a fragile democracy still facing insurgents, sectarian tensions and the challenge of defining its place in the Arab region. For Iraqis, the U.S. departure brings a sense of sovereignty but feeds nagging fears their country may slide once again into the kind of sectarian violence that killed thousands of people at its peak in 2006-2007.